2. Keep watching the left side. You should go down at small bus stop at the front of IT Square Lak Si. 3. Cross the Chaeng Wattana Road and walk at the left side. If you want to take a local bus, you can take number 150 or 356. Watchout, the first bus stop a little bit far from the Lak Si intersection! 4. Keep walking, until you pass CAT office. The Immigration Bueraue is nearly closed to you. 6. Find a shuttle bus. 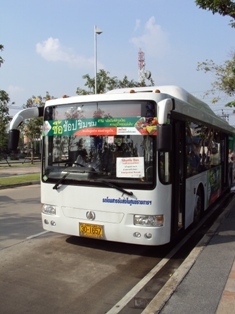 There are at least two shuttle buses at the front gate of Thai’s Government Building. The bus will take you to the main immigration building. 7. You should stop here. 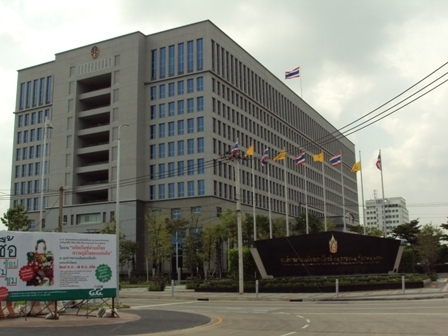 This is one of several Thai’s Government magnificent buildings there. 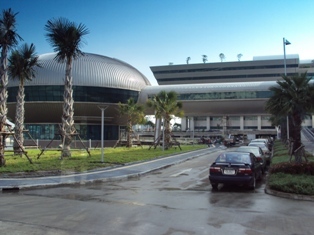 The immigration office is located at the 2nd floor. 8. The office provides prayer rooms for Moslem and also Halal Food in the west Food Corner. You should ask the information desk about this. Not all prayer rooms are open at the same time. You can find Food Center at the 1st floor. Just walk to the west, approximately 90 degree from immigration office and enter the Food Center. 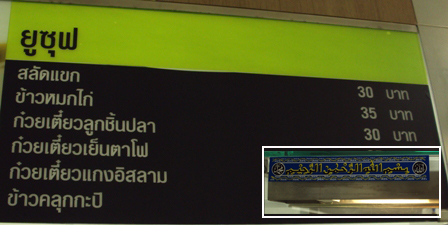 The food shop name is YUSUF (ยุซุฟ) . Find a “basmalah” sign here. Unfortunately, all menus are in Thai. But of course they can speak English, nit noy! Try to save this page ? Why don’t you download this guide here ? Doesn’t works ? It’s not your bad, try this one.